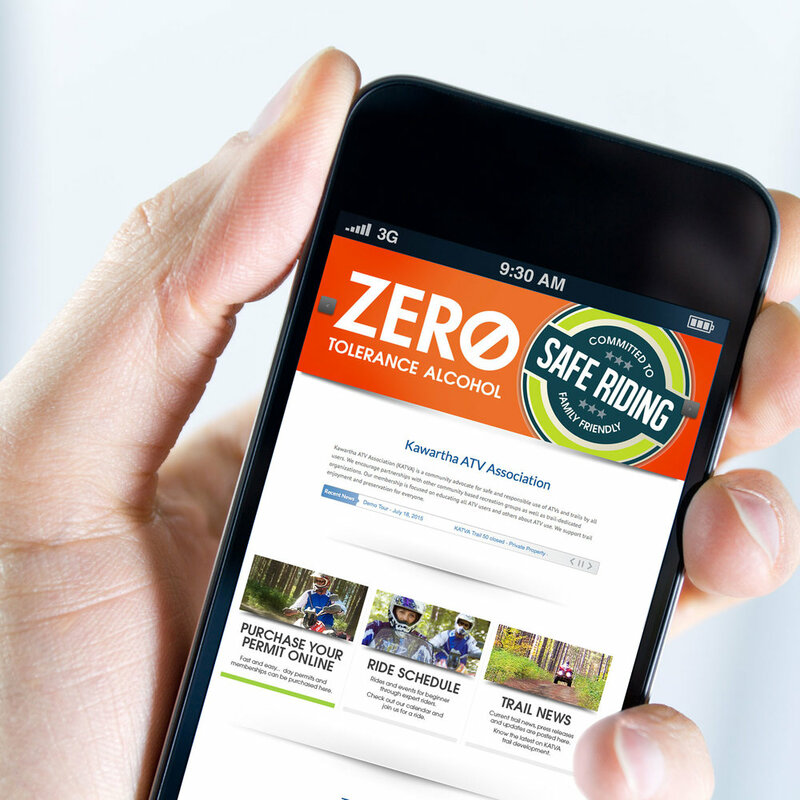 A large insurance brokerage operating throughout central Ontario wanted a product line specific website for their marine insurance products. 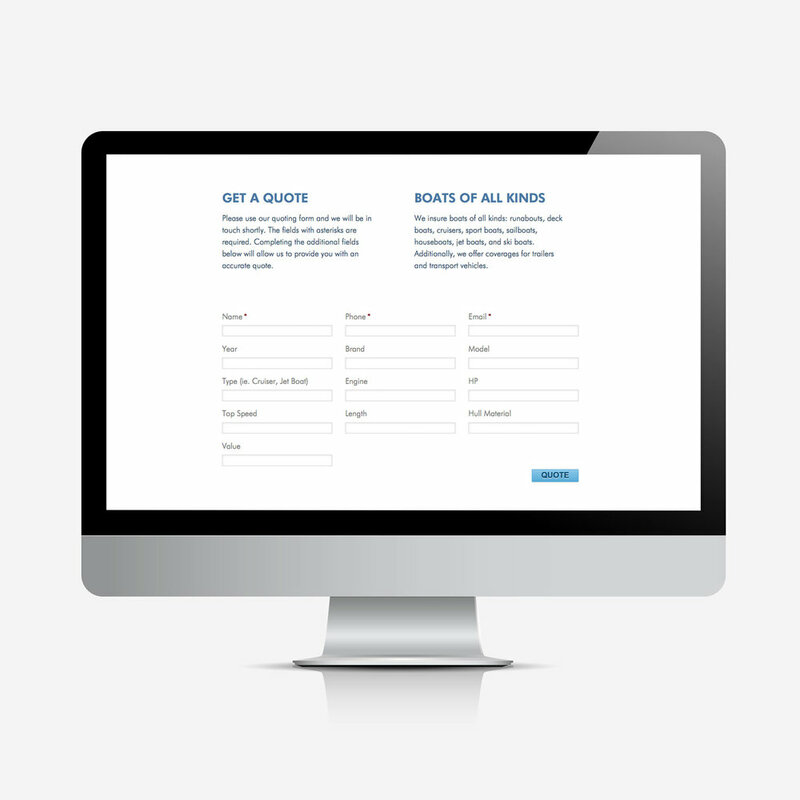 The site would be accessed primarily prior to the boating season and needed to speak directly to primary benefits boaters could expect from a brokerage that understands their needs and made it easy to obtain a quote. Further, the site had to adapt elements, such as logos and fonts that were already established by the company’s primary branding. The website served the company’s expectations as described. 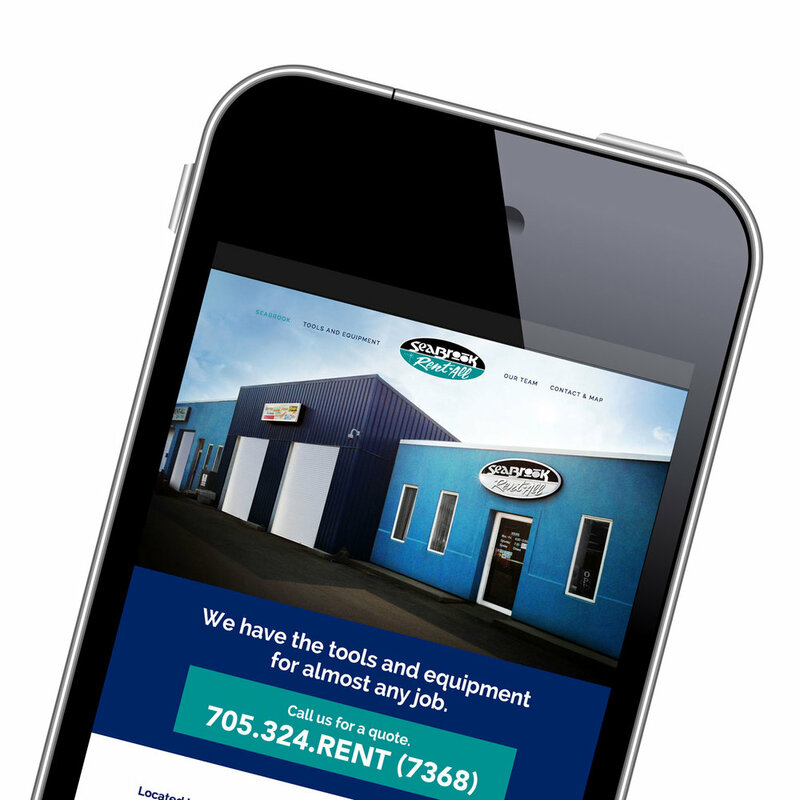 A supplier of rental equipment wanted to do more to present their broad rental offering to a larger market. After dialogue with the principal it was clear that the site needed to be simple, user friendly and speak to the range of purpose-based equipment available. Site messaging was key for the site to be effective. Jacks elected to use phrases that invited queries, equipment demonstrations, and quotes. The site conveys the friendliness of staff and ease of access to their location. Jacks team met with the principal to gain insights into her priorities. We focused on the people nature of the business. Visually the graphic conveys a sense teamwork and common direction. The principal is identified in the graphic by her preferred colour, grabber orange. That distinction captures her energy, as does the forward trajectory of the elements. A second colour, a common business blue, balances the colour scheme. 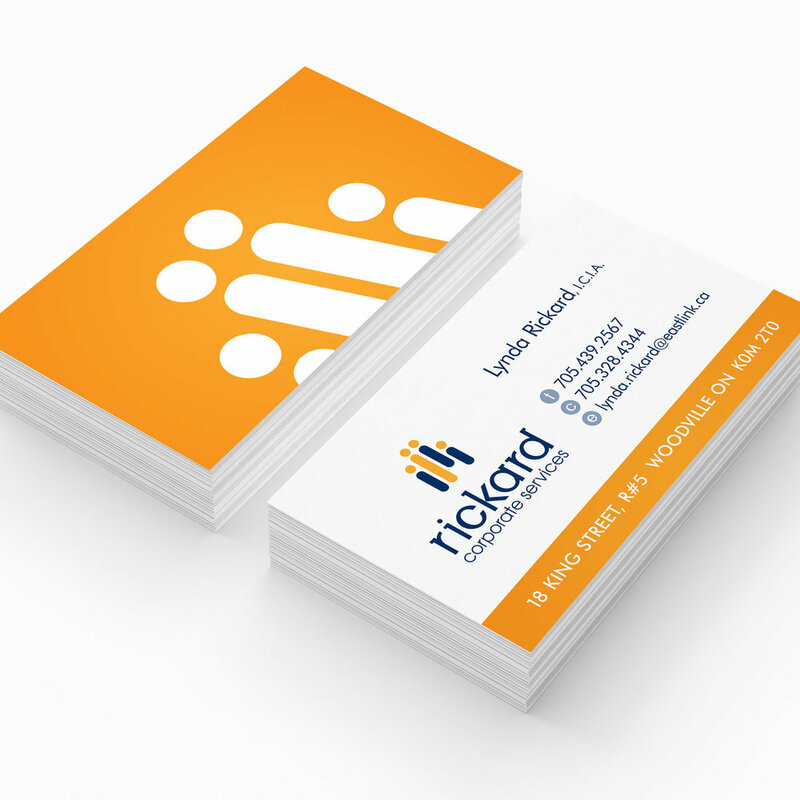 jacks applied the new branding, logo and colours, to a basic stationery package. 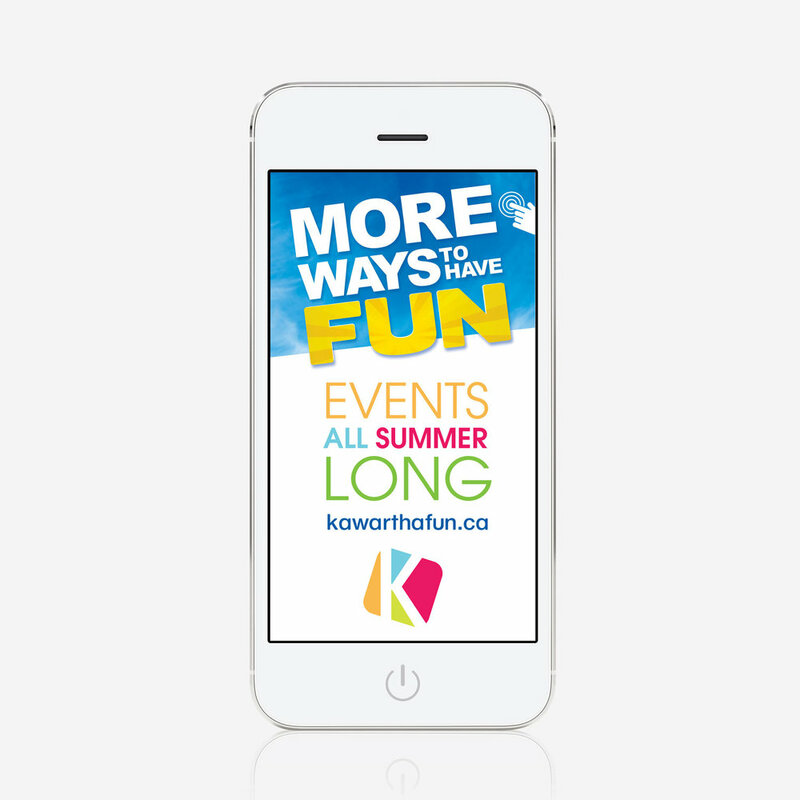 The project goal was to raise awareness of Kawartha Lakes and to attract interest in summer events. A marketing strategy was developed to guide creative and media choices. 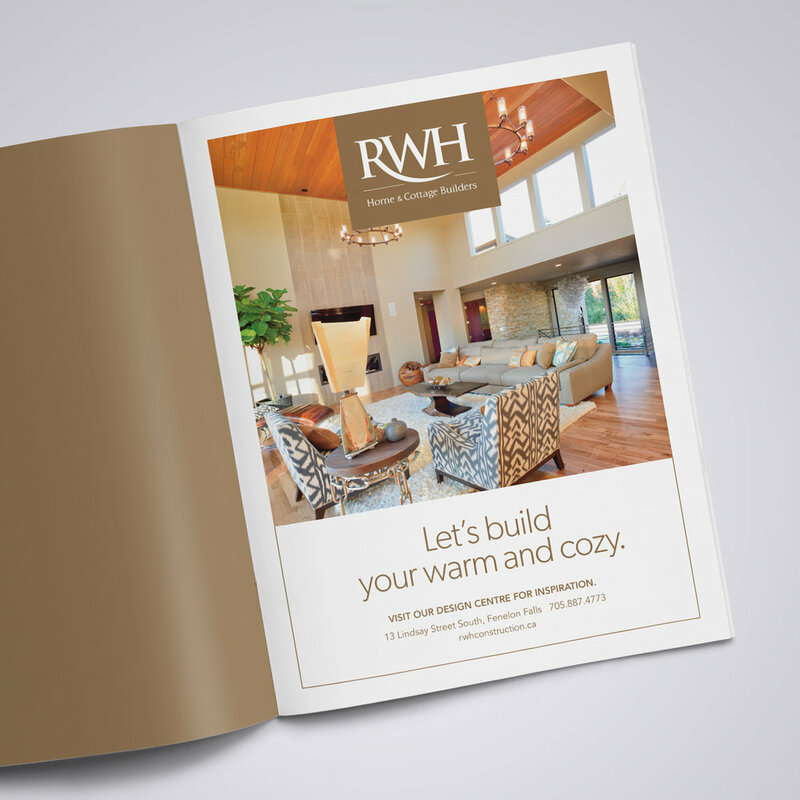 Creative entailed advertisements, brochures, buttons, banners, signage, commercials, and more. 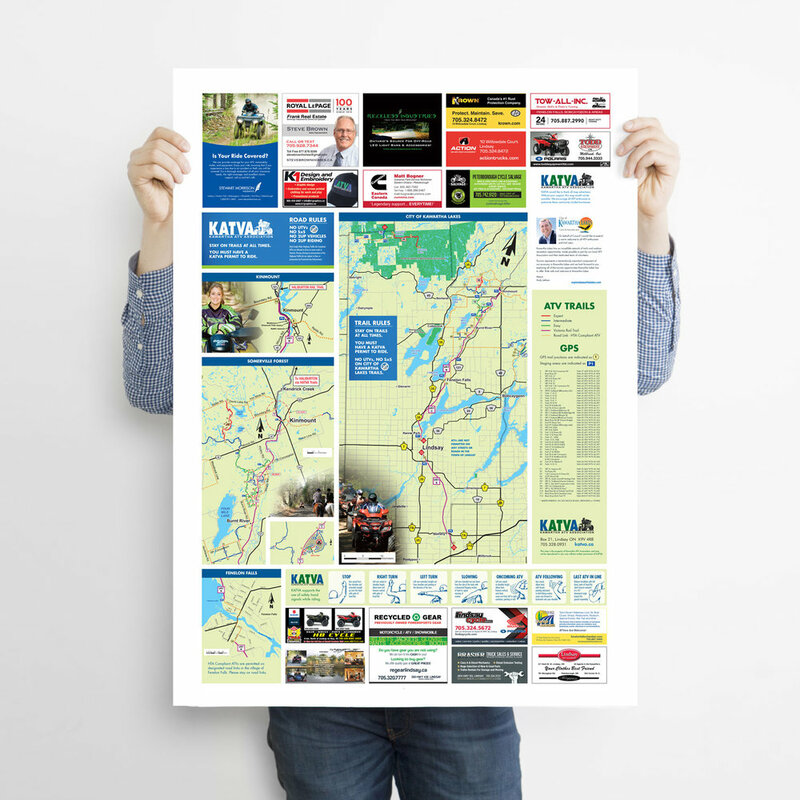 Increased awareness for the City of Kawartha Lakes played out in several markets including: Barrie, Orillia, Aurora, Newmarket, Markham, Oshawa, Toronto, Cobourg, Peterborough, Belleville, Kingston, Ottawa, and others. 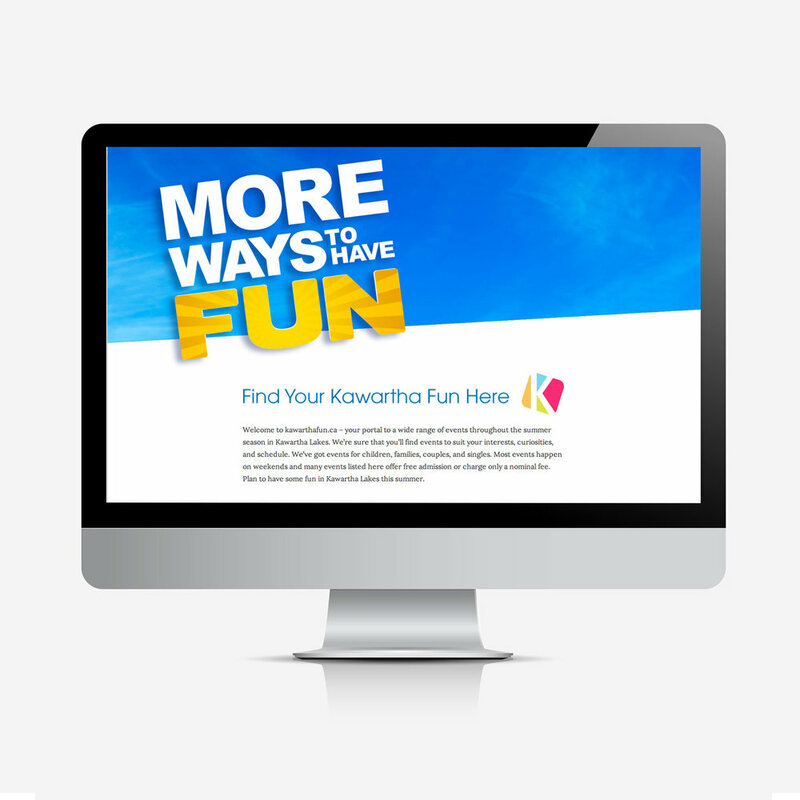 The campaign theme and resulting graphics generated online interest, positive feedback, and potential for like campaigns. An independent Registered Massage Therapist based in Peterborough wanted to change her brand identity and t reach out to past customers. jacks developed a logo and branding elements that captured the essence of healthcare that the client expected and a representation of person lying face down for massage therapy. 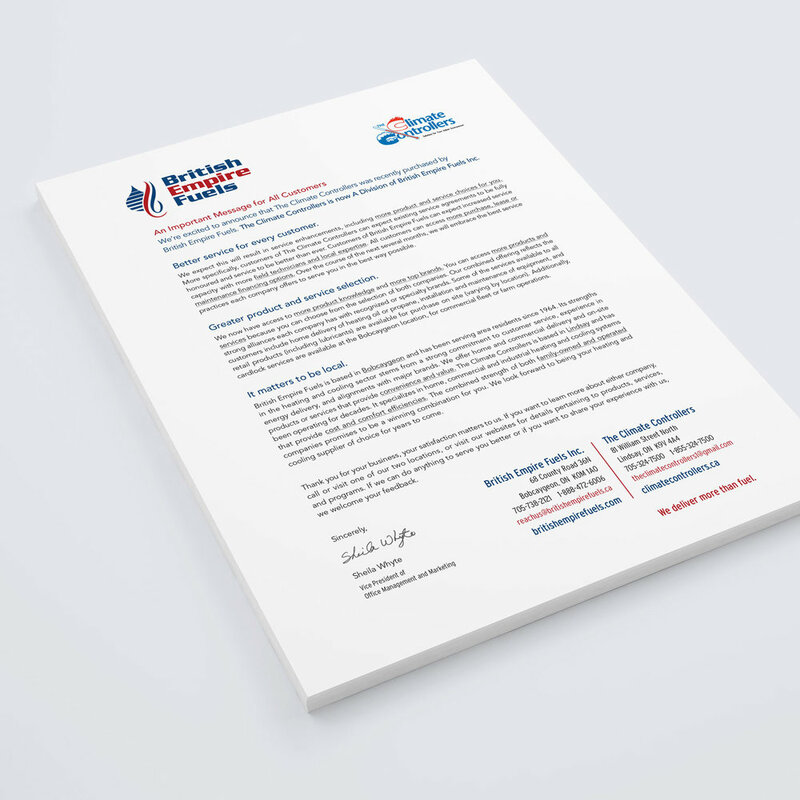 An offer letter was developed for past clients and adapted to new stationery. The client was please with the results that followed and enlisted jacks for additional work. A third-generation family owned business, Floyd Hall Insurance needed new print material and advertisements that captured their established personality. 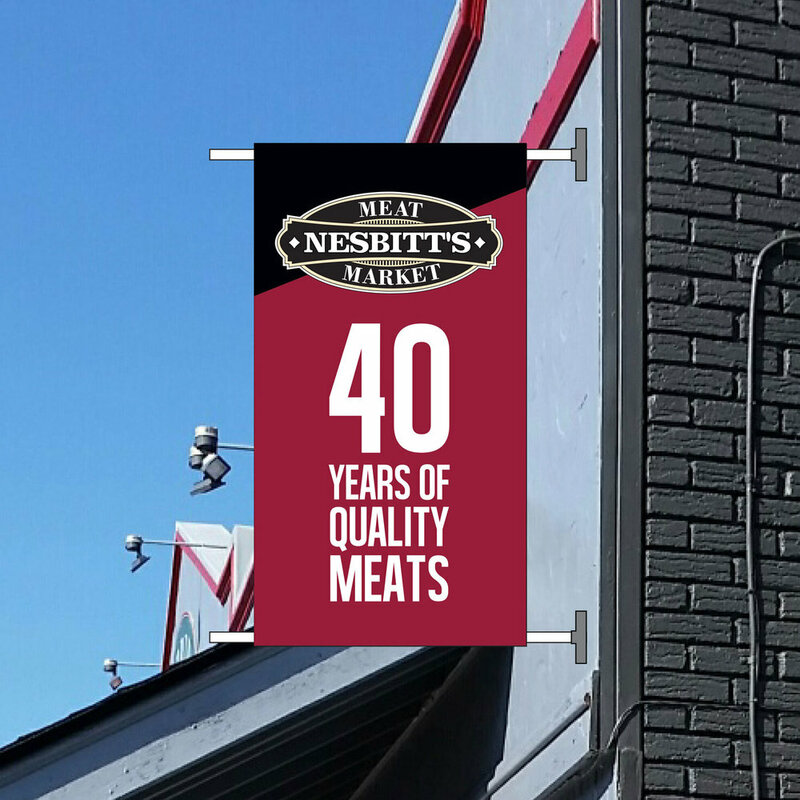 Their existing logo presented challenges and had not evolved since it was originally introduced by the company decades earlier. jacks provided the company with a more contemporary version employing contemporary fonts and colours, while maintaing the core elements of the original logo. The evolved logo was adapted to a consistent look for print projects. 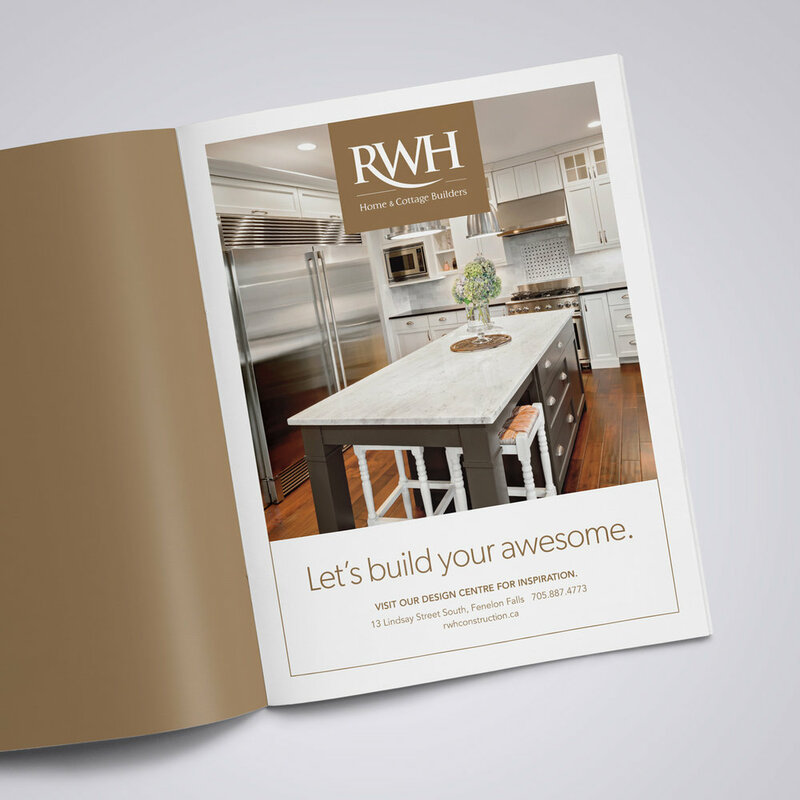 Canada’s largest independently owned and operated casket manufacturer needed to reproduce their product catalogue. jacks proposed an outline and enhancements after staff input, buyer suggestions, and known competitor approaches were considered. Dialogue with the client centred on user friendliness and cost efficiency. The resulting catalogue was easily adapted to an electronic version, was on budget and was well received in the marketplace. Further projects included a redesign of Northern’s Life Immortal Program marketing material, magazine editorials, and advertisements. Elements of the redesign of their sales tools and print material were adapted by their web developer in a redesign of the company website. 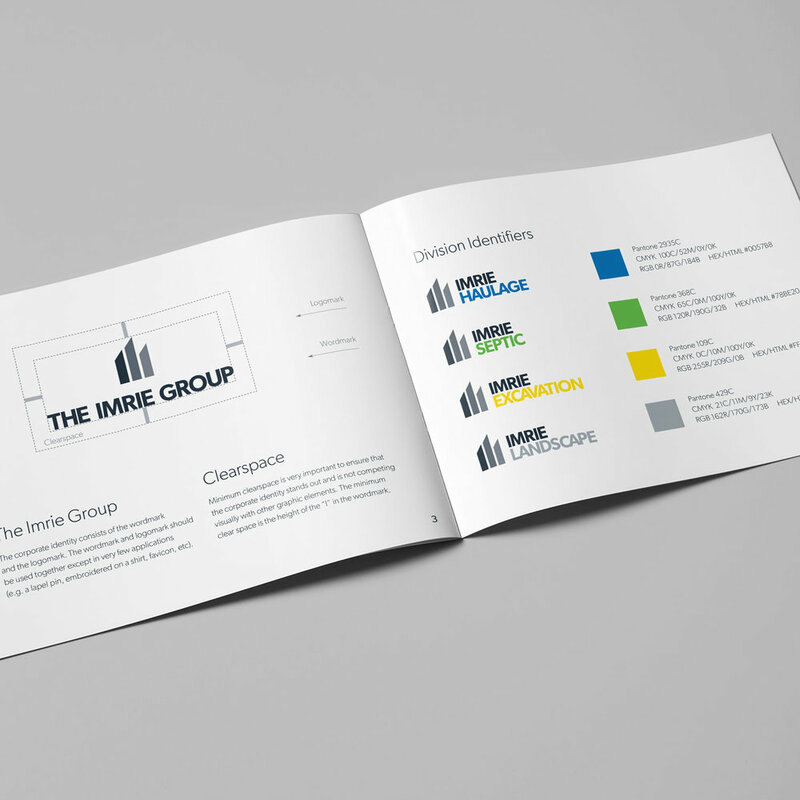 Landmark Landscape sought a new brand identity to reflect the company’s vision, growth, and increased service capacity. The Jacks team understood that the principal wanted a simple brand identity that would reflect his desire to be perceived as contemporary, professional, and capable. The logo uses stylized versions of an L to represent shapes that are common to blocks, paths, and structures used in landscaping. Design + Build reflects Landmark Landscape’s new digital rendering service and their ability to build landscape designs to completion. Deep grey and corresponding textured treatment is contemporary and conveys a natural building material. Stationery redesign and a promotional brochure for trade show use followed. Jacks designed a promotional poster for the Lindsay Chamber’s fundraising event – an Evening with John Hardy, Jewellery Designer and Bali’s Green School Founder. The goal was to create awareness of the Lindsay Chamber’s fundraiser, generate ticket sales, and increase attendance at the event. 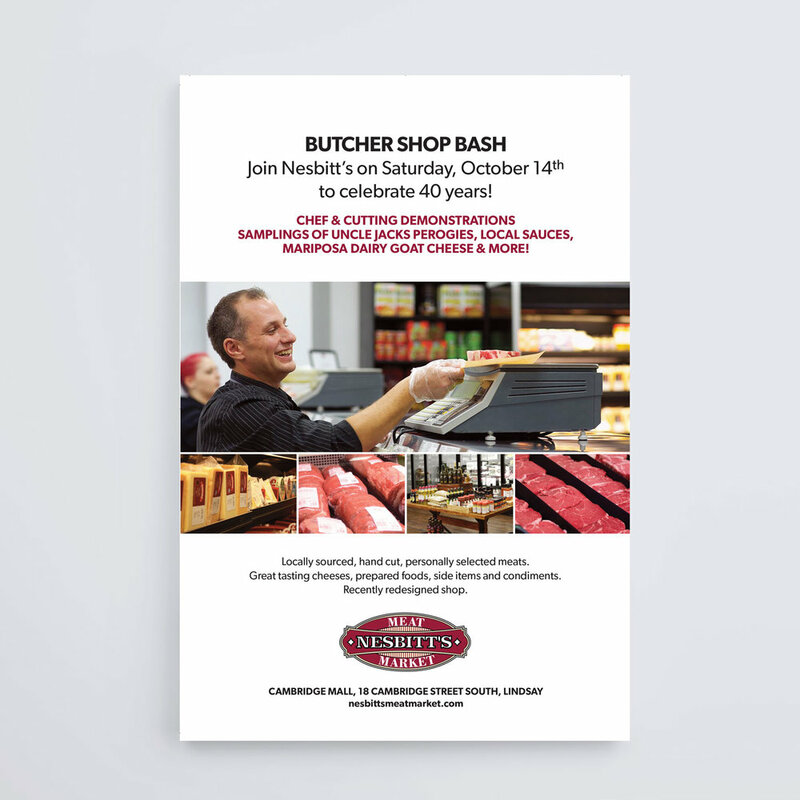 Within a tight timeline, Jacks produced a full-colour promotional poster, to be distributed via email and for in store display. 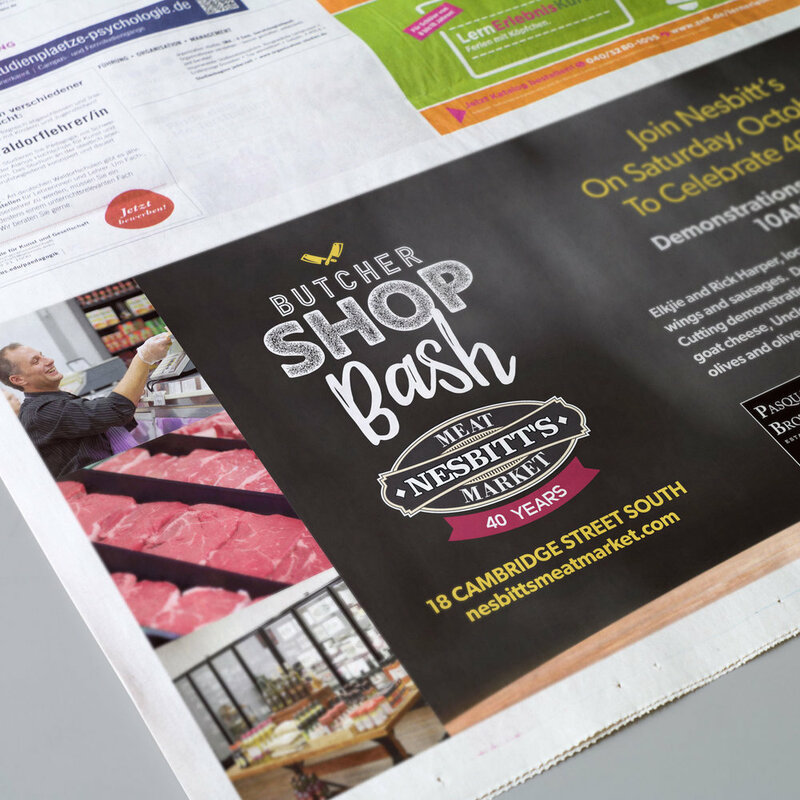 Art file was also used for newspaper advertising. Representative photography was sourced resulting in a strong and appealing visual. 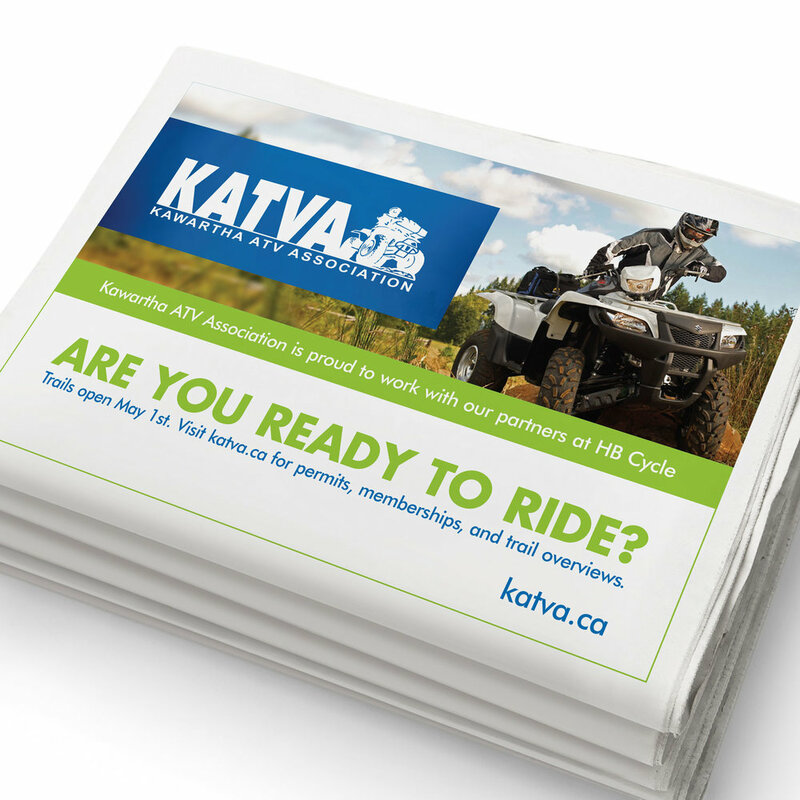 jacks dissected content of KATVA’s existing website and marketing materials to determine its strengths and weaknesses. That process led to copy writing of all web content and redevelopment of printed materials. 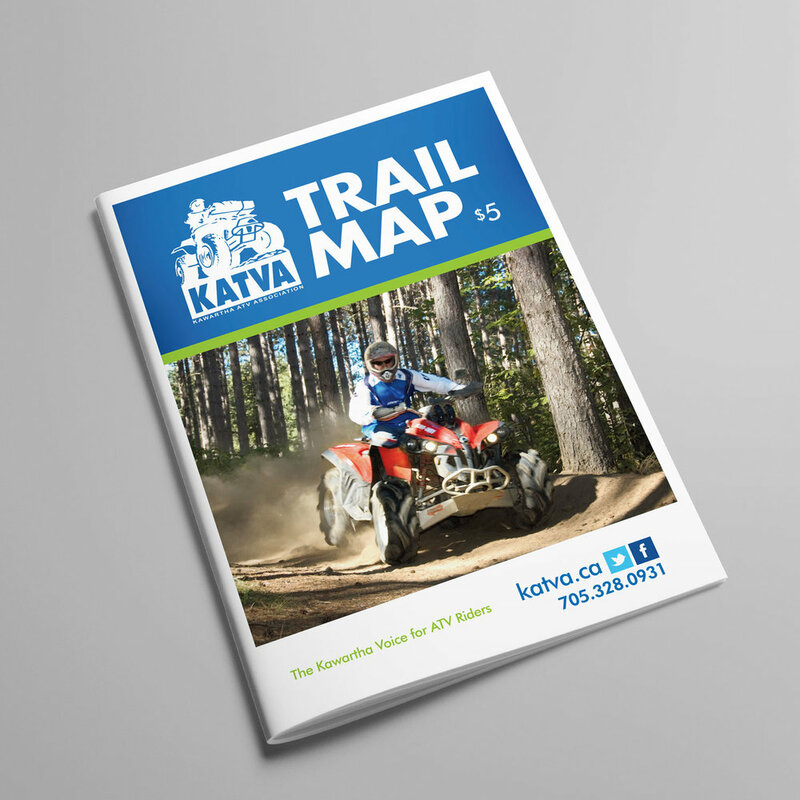 KATVA embraced opportunities for review and input throughout the projects. A WordPress site was developed, incorporating e-commerce functionality, content management, monitored blog capability, and more. Club representatives were subsequently trained to use the content management system. Use of the club site and positive comments from club members and non-member users of the site has increased. The client brought a definite vision for how she wanted her company to appear online. 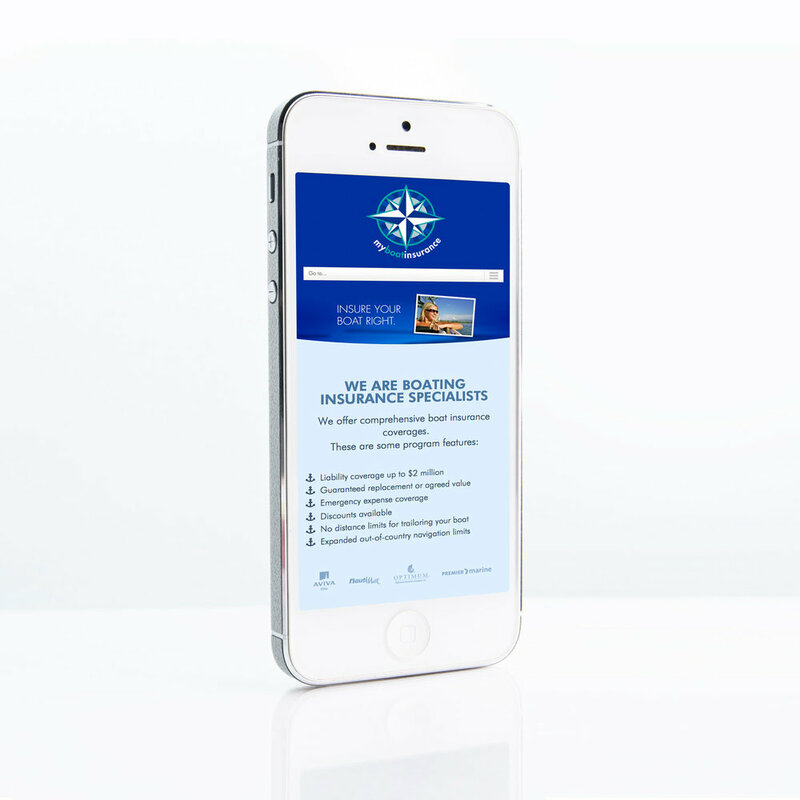 jacks was tasked to adapt a clearly Canadian theme to the website’s appearance. 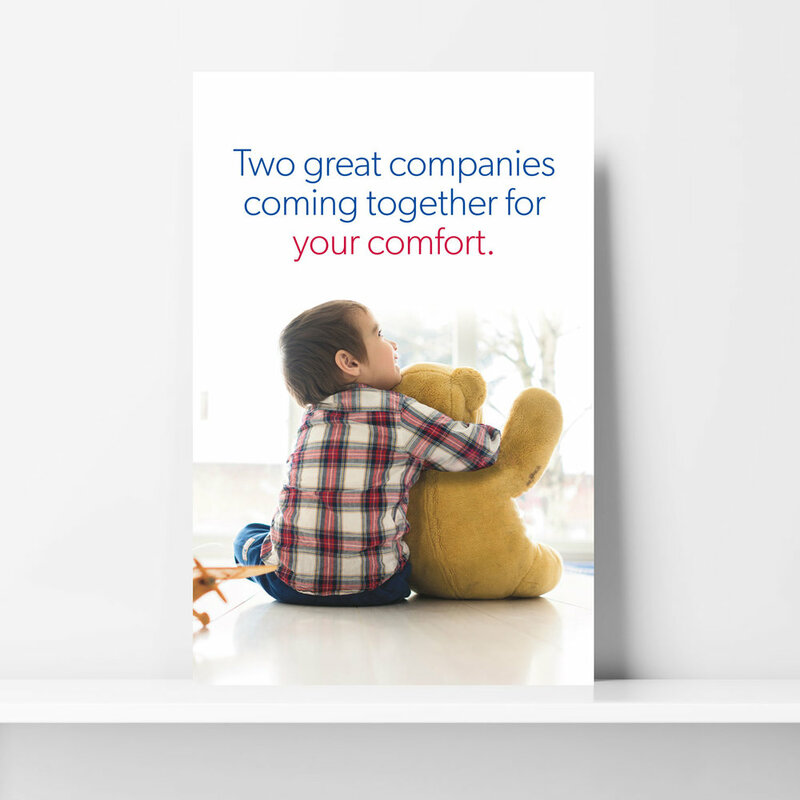 The site came together quickly because the client was able to convey expectations quickly and jacks responded in kind. 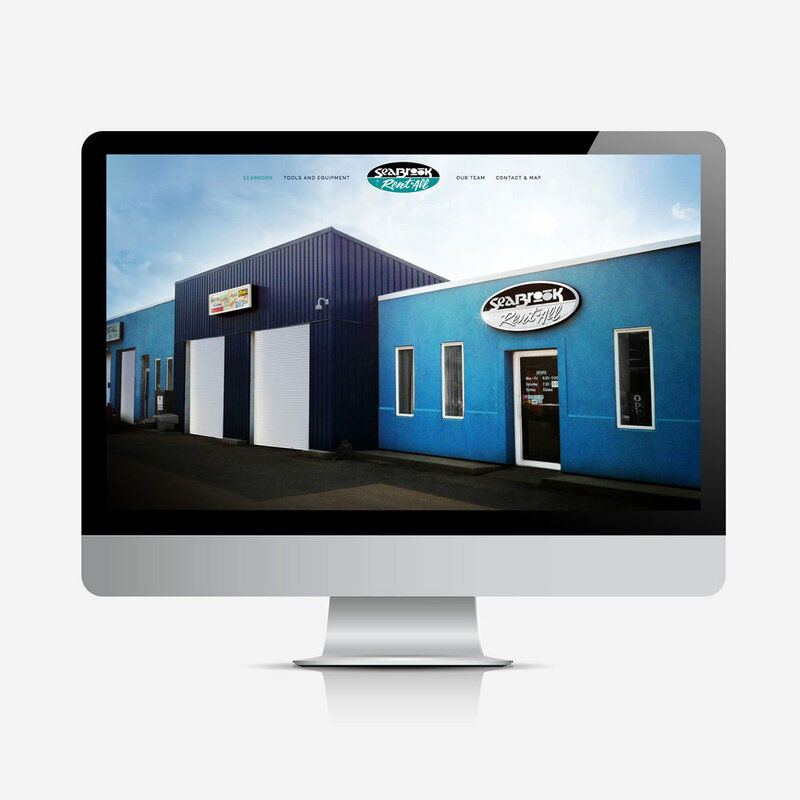 A resulting website was delivered on time and on budget to the full satisfaction of the client.